According to Autotrader’s recent Car Buyer of the Future study, only 17 out of 4,002 people prefer the current car-buying process. And the rest? They want some major changes. For those dealers who take the time to appeal to today’s auto consumers, the wins will quickly add up. The lowest price does not always win. Although price will always continue to be an important factor, 54% of shoppers say they would buy from a dealership that offered a great experience as compared to a lower price. Additionally, 73% were willing to drive further to a dealership who provides a positive experience. Salespeople continue to play an important role. The notion of online car shopping may be appealing to some consumers. Although most consumers begin their research on a website, 84% prefer to purchase a car in person, however. New options for financing paperwork. Once the purchase decision has been made, the average time for completing paperwork is 61 minutes, according to a study by Cox Automotive. Meanwhile, 72% of consumers would favor the opportunity to complete credit applications and financing paperwork online. 72% of consumers say they would visit dealerships more often if the buying process were improved. 66% of consumers say that they would be much more likely to buy from a dealership that offers their preferred experience. 53% of consumers would buy a vehicle more often if the buying process were improved. The following are three steps to winning big with today’s car buyer. Consumers are increasingly choosing dealerships that cater to their needs and preferences, often over dealerships that offer a lower price. To provide a positive customer experience, you must have a thorough understanding of your customers and prospects—demographics, preferences, contacts information, and lifestyle. Most dealerships have pieces of this information sitting in multiple systems. For example, a prospect may have completed a form on your website, so you have the contact information in a CRM system. This same person may have also contacted your customer service department, so additional details are sitting in another system. Data is often stored in multiple systems such as billing systems, marketing programs, customer service departments, maintenance records, and other sources. Each of these customer data sources must be integrated into a single database to achieve a 360-degree customer view. By understanding what your customers want, who they are, their channel preferences, and other important details, dealerships can create truly tailored customer experiences based on individual preferences. Follow the car. Identifies cars that you sold or performed regular service on after they are sold to a new owner, so you can bring the vehicle back in for service. In-market modeling. Statistically modeled values that indicate a household’s inclination to purchase a vehicle within the next five months. Allows you to target prospects most likely to be in market for a new or used vehicle. Digital ad targeting. Focus on in-market buyers by brand, category, and more by accessing consumer data information, such as vehicle make, model, year, intent to purchase, geographic locations, and other consumer demographics like age, income, profession, ethnicity, and known interests. New mover data. Allows you to know when your customers move, so you can retain them at another location, and to welcome new prospects who have just moved to your area, before they go somewhere else. 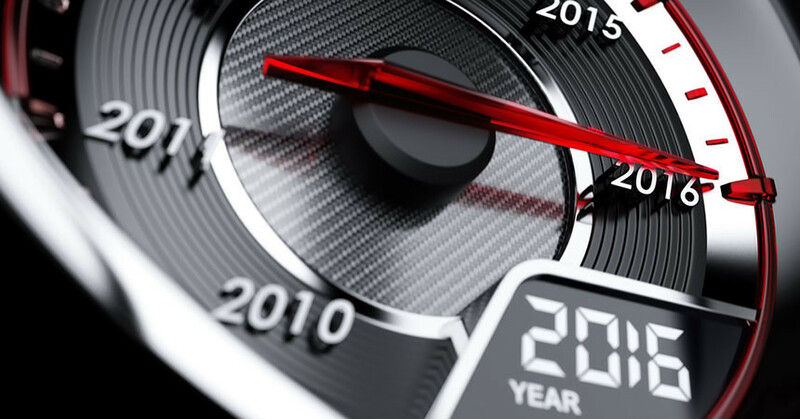 Today’s consumers gravitate toward dealerships that provide the best experiences and streamlined processes. Get a head start over your competitors and implement some of these changes. For example, a large percentage of consumers see a dealership as a place to learn and gain information on warranties, specials, safety ratings, and service. Consider creating informational videos and resource centers, or have a product specialist on hand, and then promote and advertise these resources so consumers know that your dealership is a great resource for learning. Another major change consumers want when purchasing a vehicle is an improved buying process. Is your financing paperwork online and easily accessible? Do you have easy-to-understand instructions and knowledgeable customer representatives available if someone has questions when completing this paperwork? Today’s auto consumers are savvier and expect a great customer experience. A rich understanding of your customers combined with better customer service, easier processes, and robust educational resources will get more customers into your dealership. And remember: Consumers are willing to pay more and drive further to dealerships that can deliver what they’re looking for. Kelly Idol is the senior vice president of sales at Relevate Auto, a provider of industry-leading automotive marketing intelligence. She has more than 30 years of experience developing custom-fit data solutions that turn data into revenue-boosting marketing solutions. Self-Driving Cars: OK, Now It's Getting Weird . . .